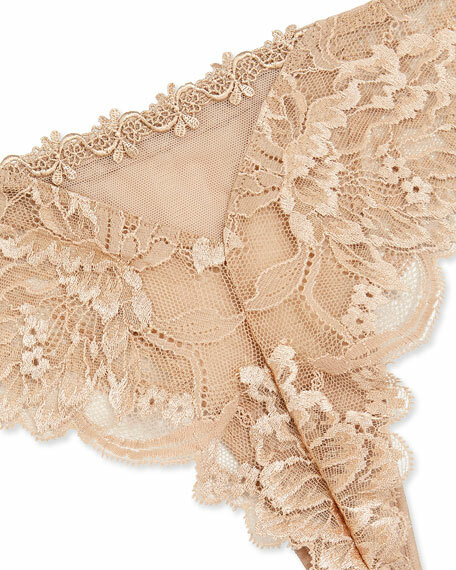 Simone Perele "Amour " seamless microfiber tanga brief. Stays smooth under formfitting clothing. For in-store inquiries, use sku #214461. Cosabella "Jolie" thong in printed lace. Scalloped waist and leg openings. Low rise style sits across hips. Thong back. Lined gusset. Nylon/spandex/cotton. Hand wash. Made in Italy.